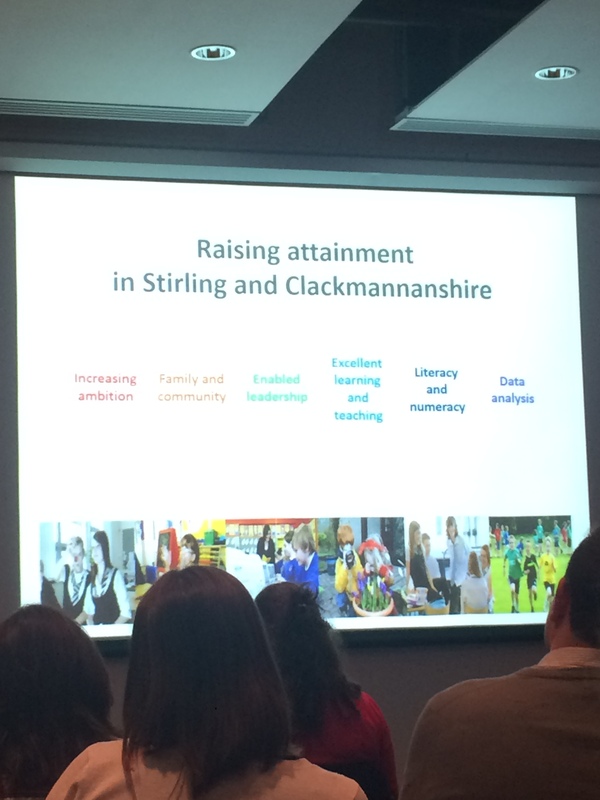 “High quality and equitable outcomes for all” – that was the theme of this year’s Scottish Learning Festival held last week at the SECC in Glasgow. A mix of academic and policy based seminars, converged with practitioner based learning during the session on Wednesday. Out of a packed schedule we chose to attend the launch of a new initiative to encourage more STEM teachers; information on the Scottish Attainment Challenge, delivered by Education Scotland and the Scottish Government; and a promotion of employment partnership learning, showing how schools and colleges can engage more with local business to provide opportunities for students. 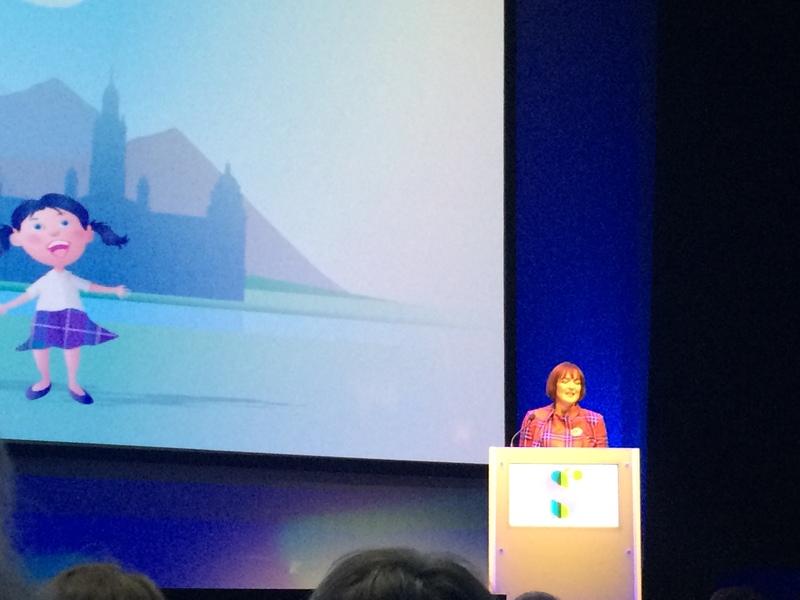 The keynote speech on Wednesday was delivered by Angela Constance MSP, Minister for Education at the Scottish Government. In her address, she stressed the importance of the key themes of the conference, which were collaboration, best practice and ensuring that no child in Scotland should be unable to fulfil their potential at school because of their background or their ability to pay. Scottish education she said, would be “driven by evidence of ‘what works’ “ and “education in Scotland must be about ability to learn, not ability to pay, at all levels” and that this was a fundamental commitment on the part of the Scottish Government. She also launched a new initiative aimed at getting more STEM teachers into the teaching system in Scotland. Teachers, she said, were key not only to teaching but to inspiring students to pursue subjects to a higher level. She awarded the Robert Owen Award for an Inspiring Educator to Professor Graham Donaldson, the man behind Teaching Scotland’s future report on the education of Scotland’s teachers. The Scottish Attainment Challenge was promoted as an accelerator of change, building on what has already been done in Scotland and using core values and agreed outcomes to create a system which takes a uniquely Scottish approach. The focus is on 4 key areas, and is delivered by a three way framework which uses a national hub, inter authority collaboration and support and the Scottish Attainment Fund. Speakers in this seminar emphasised that in Scotland, policy needs to be driven by what works. The challenge, they said, could not be delivered in isolation. Kevin Helman from Stirling and Clackmannan provided a local authority perspective. He highlighted the role of head teachers sharing best practice among schools. Employment partnerships between schools and businesses could be a key way to promote vocational learning and encourage STEM subjects in schools. We’ve written before on this blog about the need to build STEM skills in the UK and especialy the importance of providing girls with STEM role models. 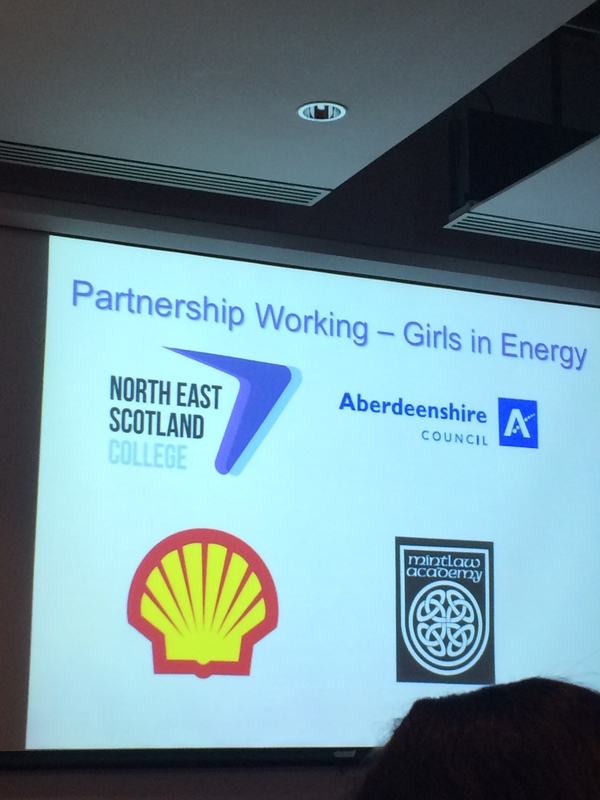 It was encouraging therefore to hear in another seminar session about the Girls in Energy programme, an Aberdeenshire based project between Mintlaw Academy and Shell. There was an emphasis on how the scheme boosted employability skills, including interview technique, presentation skills and communicating with others, equipping the girls involved with practical skills valued by employers. Practitioners and students who have been through the scheme were keen to stress that the scheme could easily be recreated if strong relationships between education and industry/business are forged. They highlighted the potential in engineering, construction and other industries which could follow the same outline as their model. The conference highlighted all that is good about the Scottish education sector. The stalls and exhibition space were filled with people who are passionate about providing a better, more equal and well-rounded education for children in Scotland. However the conference also emphasised the core values of what academics and practitioners feel is needed to drive education forward in the future – an understanding and sharing of best practice and resources, and the ability to integrate multiple aspects of learning to create a better experience for teachers, local authorities and children alike. Graduating into a brighter future? This entry was posted in Education and Skills and tagged attainment, collaboration, cooperation, education, equality, integration, learning, local authorities, partnership, schools, Scotland, Scottish Attainment Challenge, Scottish Attainment Fund, scottish learning festival, scottish learning festival 2015, skills, STEM, teachers, teaching. Bookmark the permalink.